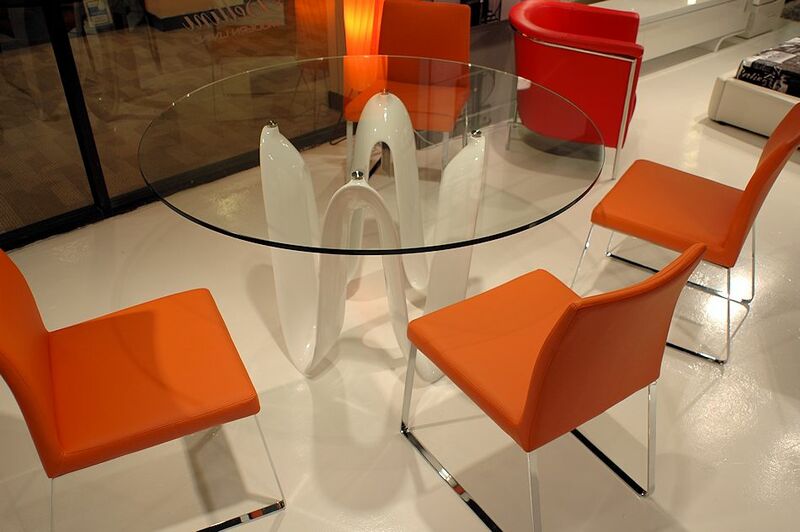 Italian style dining table is a real winner in modern furniture. Shown w/ Chris dining chairs in Orange $ 295 ea. Also available in Black, Brown, Grey, White and Red. 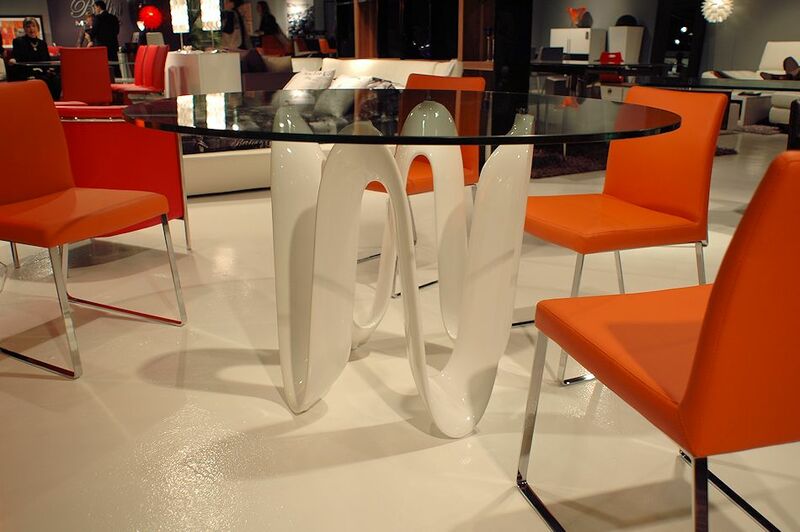 Radius and curves define contemporary furniture. 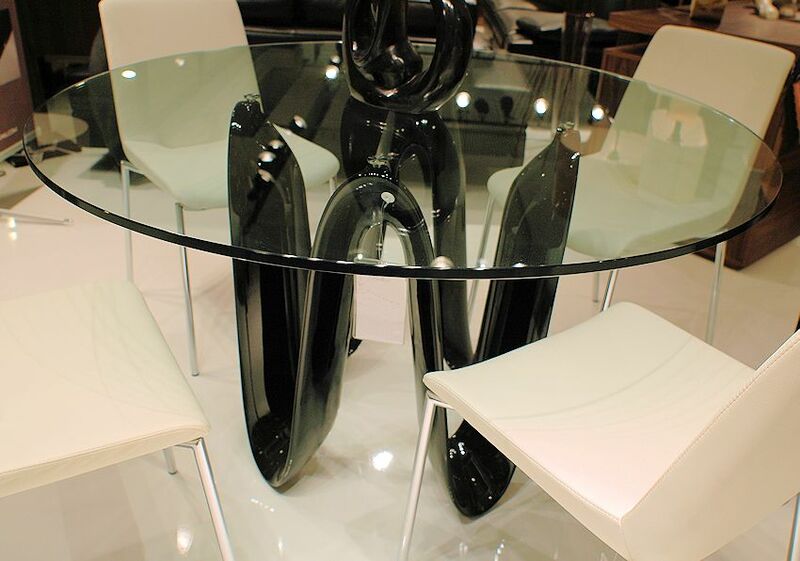 Sapphire Round dining table w/ Black base and Aiden dining chairs in White. $ 325 ea. - Aiden chair in White, Black, Brown, Grey, Red or Orange.